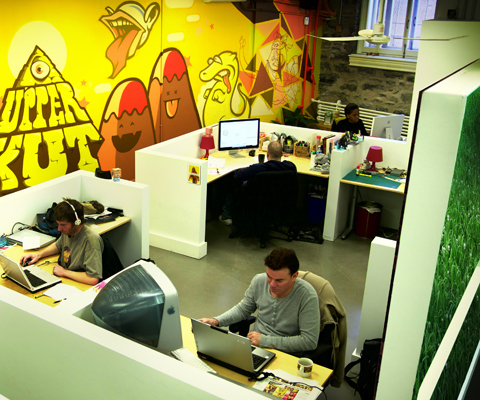 Jean de Lessard transformed the basement of the Saint-Jean-Baptiste Church, situated in the heart of the Plateau Mont-Royal neighborhood in Montreal, into offices for Upperkut, a growing communications agency. 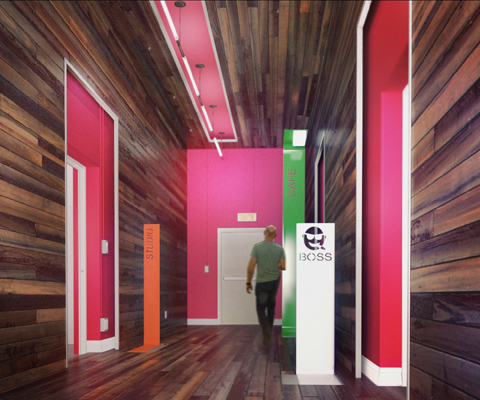 The company’s owners wanted a space that fit their image: bright and dynamic, with a sense of unity, and easy to expand. They therefore awarded the mandate to creative designer Jean de Lessard, whose award-winning projects have been published many times over the years. For the designer, who has more than 20 years in the field, it was a good opportunity to go off the beaten track, to create something truly extraordinary. “A church basement is an unusual place, to say the least”, de Lessard explains. “The space was really interesting and had enormous potential. Given the creative vocation of Upperkut and the open minds of its partners, I was encouraged to propose a bold concept to make a truly unique workspace”. Fundamentally, the 380 square meter space was treated very simply. 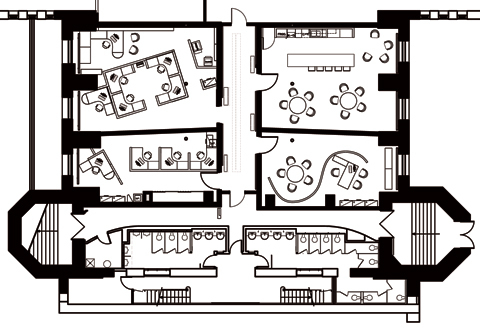 It was divided into four main spaces: the president’s office, the project managers’ area, the studio, and the multi-function room. These sectors, linked by a corridor that acted as a central “spine” for the space, are well divided but form a unified whole thanks to a very graphic color palette that was identical in all four areas. 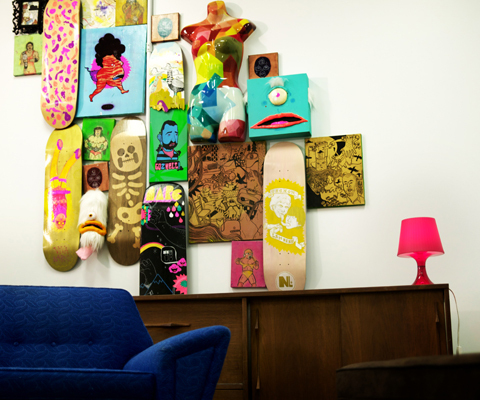 Where de Lessard pushed the concept was in integration of an art collection and graphic elements of the agency’s Web site into the walls of the office. “We wanted to create a space that was imbued with what Upperkut does day in, day out”, de Lessard notes. That is why images and designs from the Web site are visible in the studio and the project managers’ space. Because the Saint-Jean-Baptiste church is still an active place of worship with great significance for the parish, as well as being a cultural diffusion site, particularly for concerts, certain elements of the built patrimony had to remain intact, including the ceilings and site-specific acoustical mechanisms. 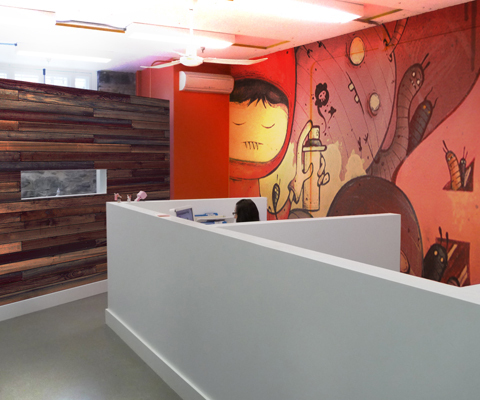 After a creative process in which the agency’s directors took part, de Lessard provided Upperkut with a unique, strong, colourful office that, above all, was a perfect fit for the work team and for creativity.